The Hollywood Reporter says Aidan Gillen, who plays Petyr ‘Littlefinger’ Baelish in HBO’s Game of Thrones, has signed up for a role in The Maze Runner sequel, The Scorch Trials. According to THR, Gillen would play the main villain, Janson, in the sequel which will have Dylan O’Brien, Thomas Brodie-Sangster, Kaya Scodelario, and Will Poulter back in starring roles. 20th Century Fox has set a September 18, 2015 release date and will begin shooting the sequel shortly. Wes Ball will be returning as director. 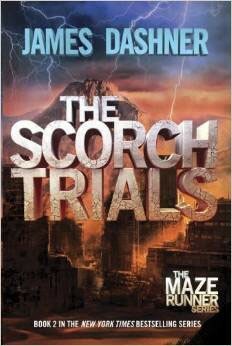 The Scorch Trials picks up where The Maze Runner left off. The Gladers have escaped the Maze, but now they face an even more treacherous challenge on the open roads of a devastated planet. And WICKED has made sure to adjust the variables and stack the odds against them. Can Thomas survive in such a violent world?